Every now and then, it’s important to acknowledge and highlight the many independent and progressive blogs out there in San Diego’s blogosphere. Let us take you through some of them – as many of these blogs post daily and carry very informative news and perspectives – needed media options for San Diegans. 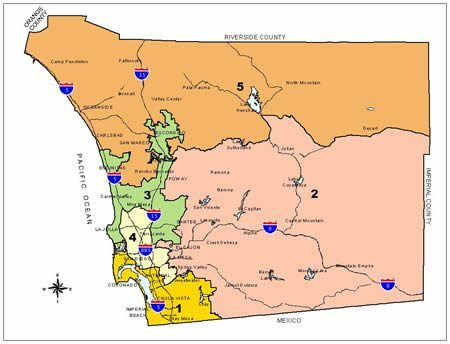 GrokSurf’s San Diego is published by George J Janczyn who has all the news and info you need about water issues in San Diego and Southern California. The banner says it’s “local observations on water, environment, technology, law and politics.” On top right now at GrokSurf is a mid-August “round-up” of regional water news. If water is in your veins, you have to check out this valuable resource for our County. Then we have nationally-known foodie Jill Richardson‘s own blog here in San Diego: La Vida Locavore . Richardson posts recipes, knowledgable tales with “how-to-do’s” in cooking, botany, Native American cooking and culture. Right now, Jill has up a post about “Finishing the Kumeyaay Village”, with text that explains that Kumeyaay Indians and a few non-Indian helpers like herelf were “putting the finishing touches on a model village they’ve built on some land they’ve recently (re)acquired near the Sycuan reservation.” Also up is a lesson on “botany for foodies”. Next up on our list is civic-activist Norma Damashek‘s Numbers Runners, which she lists as “political commentary on decision-making and ethics in San Diego government”. Her blog describes Norma as one who “has spearheaded community-based coalitions and served on city and regional-government task forces and as past president of San Diego’s League of Women Voters. Her focus is on promoting decision-making that serves the public good.” Damashek’s running commentary on San Diego city hall politics is a much-needed respite from the daily drumbeat of the local fishwrap. From up in North County, we have Excuse Me, I’m Writing blog by Kit-Bacon Gressitt, who carries book reviews and other observations with a feminist perspective. Gressitt also has at times kept a watchful eye on politics in and around San Marcos State U; she helped expose the shenanigans of a right-wing GOP-leaning student president candidate who finagled the vote for the office, and just recently was sentenced to a stiff prison term. Nunya runs this politickybitch blog and says this on her homepage: “Don’t tell me it’s not about politics, ’cause it always boils down to that, now doesn’t it?” Nunya – her blog handle – often reposts informative news about the military and government surveillance, although her posting of late has been irregular. Omar Passons runs his Understanding San Diego, a blog that he says was created “with a simple goal in mind: make it easier to understand the physical assets that make our community function so that we can be partners in the discussion about our city’s future.” Can’t be more straight forward than that. Then there’s John Lawrence‘s Will Blog for Food, where he holds intellectual court focusing on the nefarious doings of banks and other large corporations. John also writes for the San Diego Free Press and is quite prolific. Many of his articles – although not all – first appear on the Free Press. A brand new addition to San Diego’s blog world is Tom Hunter‘s frodoblk which he calls “Rants on injustice, homelessness, poverty and love”. Tom also is a frequent contributor to the San Diego Free Press. Thanks for the list. Will check it out. Yeah, Frank, I’m saving this list, too. I can reeducate myself to San Diego. Is that legal?